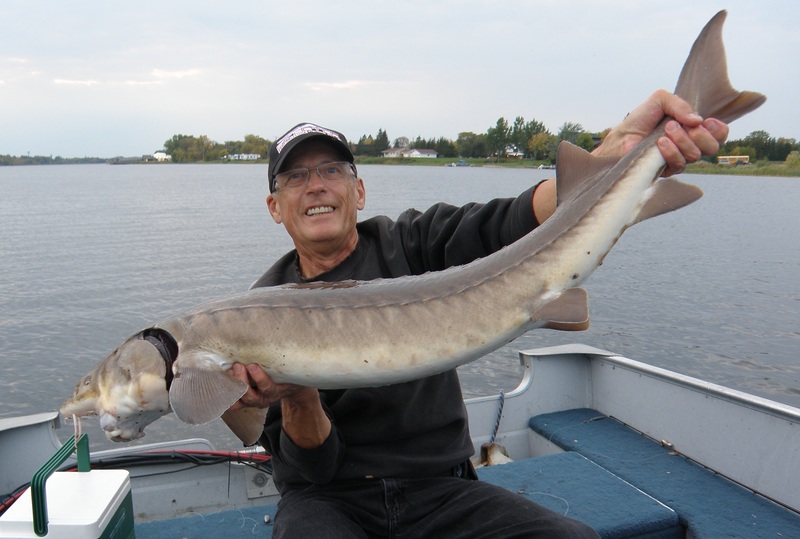 There’s been talk of a sturgeon bite the past few days and with only a few days left until the September 30th close of the harvest season, I thought I’d spend a little time and try to get one. I’ve never taken a sturgeon and getting one in the 45″ to 50″ slot during the harvest season isn’t the easiest thing to do. Wednesday afternoon I went up-river for about three hours and caught four small walleyes and kept three eaters. I also caught two sturgeon; one to little; 30″ and one to big; 53″. The chart would have that fish at about 35-40 lbs. Late afternoon on Thursday, Don and I fished for a little over an hour. Don caught four small walleyes and released them all. 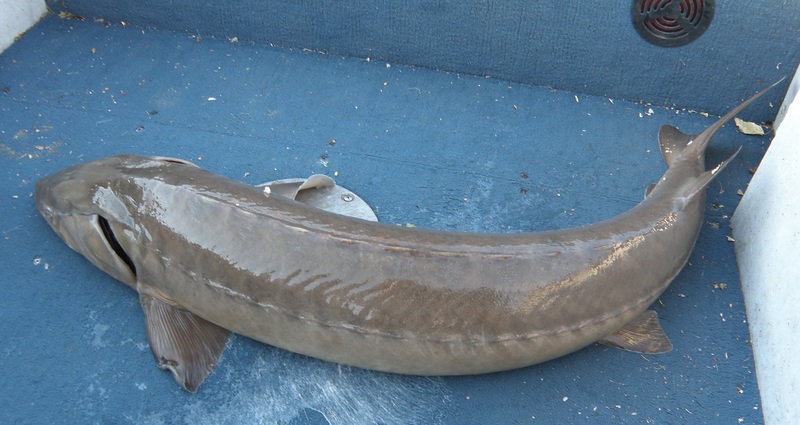 I got lucky and caught the sturgeon I’ve been looking for; a nice 46-1/2″ fish; 22-24 lbs. I’ve heard that some minnows ran on Wednesday and river fishing should continue to improve.